Are you looking for advice on how to design a logo for a startup business or redesign a logo? At Creative Giant work with entrepreneurs, big brands and smaller businesses everyday and with over 20 years industry experience we’ve learnt a thing or two when it comes to logo design. With that in mind we want to share with you our 10 best logo design tips to help you ask the right questions and get the best out of the design process. Start every design project with research, whether it’s a logo design, a brand identity or a website design visual research and mood boards are an integral part of the design process. The insight gained from research and mood boards will helps to build a picture of the sector you’re designing for, your audience and where to position things visually. It’s a good idea to build a picture of how your competitors present themselves, and how your audience perceive them. Don’t try to emulate your competitors, remember, your idea is unique and you want to make sure you stand out. It’s a busy world out there, make sure you’re ready to make different noise. Think about what grabs the attention of your audience, consider their consumer behaviour, what are they already comfortable with from other brands and how are they being presented to by them. Think about how you want to be perceived by those customers and where they then position you in their minds. Ask yourself how would you interpret the business offering if presented with this design for the first time. Customers will be making a decision based on how you look, so make sure you look right. Keep in mind, at ALL times that your logo in not your entire brand, it’s just part of a number of building blocks which help deliver the whole brand story. Don’t try to make the logo say a million things at once as it just gets confusing, a logo is essentially the signature, the bit that says, ‘hey, it’s me.’ Bigger brands, I’m thinking Nike, Apple and Coca Cola have established themselves so extensively into our lives that they can evoke a feeling just through the use of a symbol or a colour, with no mention the company name, it’s likely you’re not at this stage yet, but remember, they all started somewhere. Write down the first thing that comes to your mind when you think about the following words: Bold, subtle, delicate, strong, sophisticated, accessible, youthful, experienced. They all mean different things and evoke different feelings, a good logo design can do this too. Think about your offering, how it needs to be communicated to your audience and what kind of colour or typeface might help to deliver this perfectly. Good design can evoke the right feeling for any brand, if a coffee company used the same colour as a sports brand would it feel right? Innocent is a great example of how using a sympathetic approach has worked really well for their logo design. Designing a logo in Illustrator means you are working in a vector format, which means the logo can easily be resized to any size without losing quality. Don’t make the mistake of using Photoshop for logo design as you will run into problems when trying to reproduce small designs in a larger format. 07. Does it work in black or white? Personally I choose to design in black and white from the start so I don’t get confused by colour choices until I know the idea and design structure is right. However you choose to work a logo design will need to used in black and white at some point so explore how it works in one colour and also how it’s works at the smallest size it will be used at. When it comes to logo design you need to consider all the places the logo might exist, and how good it’s going to look in those places. 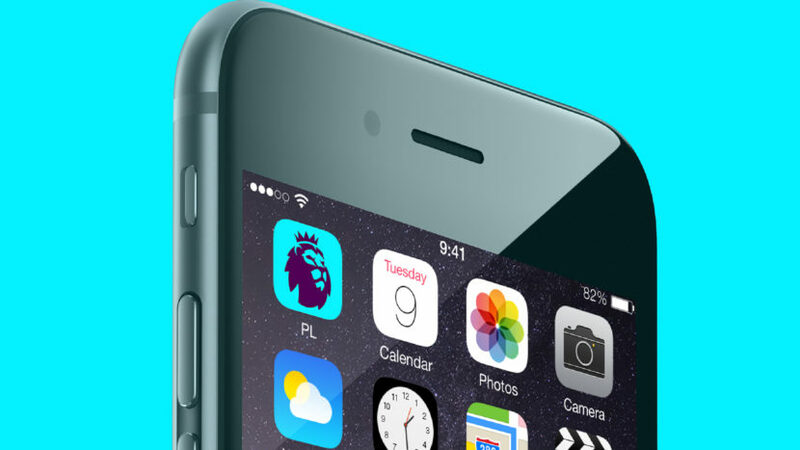 A good logo should work equally well as an iPhone icon as it does on the side of a plane. Don’t go crazy with load of texture and colour blends or get to intricate with small shapes and details as they will be lost when used small. Explore how your logo looks in different settings. Will it work on your website or impact on another design choices here. Start to design your business card, letterhead or packaging to see how the logo works there. The more you can test things and experiment will mean you don’t run into problems further down the line and have to redesign your logo so it works properly across all your brand collateral. A ‘good’ professional designer will consider as many of these eventualities as possible. Unless you have a massive budget for public testing then it’s likely you need to call in a few favours. This doesn’t mean ask your mum and a bunch of friends because even if they hate it they’ll tell you they love it. You need independent opinions, just keep in mind that sometimes when you ask someone for their opinion they can often be critical just to feel like they’re helping, so don’t take everything to heart. Saying that a few other eyes can help to spot those glaringly obvious things you might have missed before you settle on a final design. 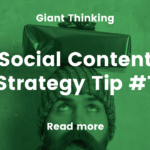 Content Strategy Tip – Know your customers well enough that you could buy them the perfect present! Address: Creative Giant, The Ideas Factory, Cavendish House, 28-32 St Andrews Street, Norwich, Norfolk, NR24AE. Creative giant work with us to come up with branding, logo and marketing ideas. We were really impressed with the final results and couldn't have asked for a better service, Rob was always available for any queries or questions I had relating to the branding. Would highly recommend to anyone needing branding for a new business. I have employed Rob's unique skills several times when client demands have exceeded my skill set. Rob's experience in the industry has added extra value to these jobs and has therefore further strengthened my relationships with my clients. As an industry consultant I couldn't recommend Rob highly enough. abbotFox have a fantastic working relationship with Creative Giant. Since appointing them a year ago as our sole design agency they have helped us become one of Norwich's most recognised brands. They're committed, professional and have a great understanding of our vision which has be invaluable. We look forward to many more years working with Creative Giant.